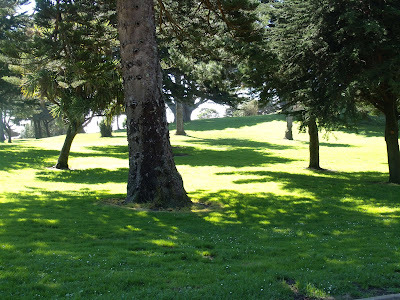 I'm sure I would enjoy relaxing in Sutro Park, looks beautiful. Happy Sunday and a good week ahead! Seem like you are having a warmth Sunday. Love your photos. You'll have to tell me how you manage to get them so nice and large. Sutro Park is lovely. 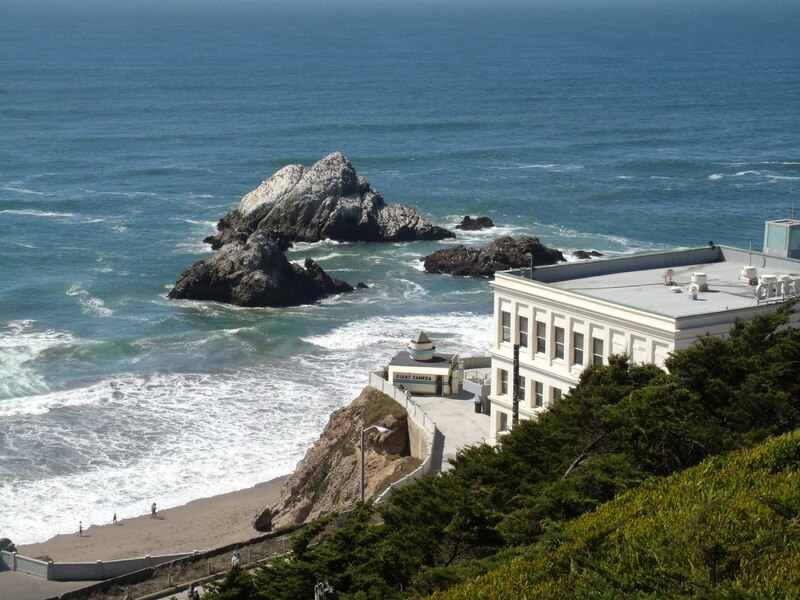 That's some view looking at that cliff house. What a lovely place - thanks for the visit! I especially like the last photo with the tree in the foreground. Oooh so sunny and beautiful! That looks like a friendly lion and a perfect park to relax in. I've never been here before. Thanks for the introduction. Wonderful place. 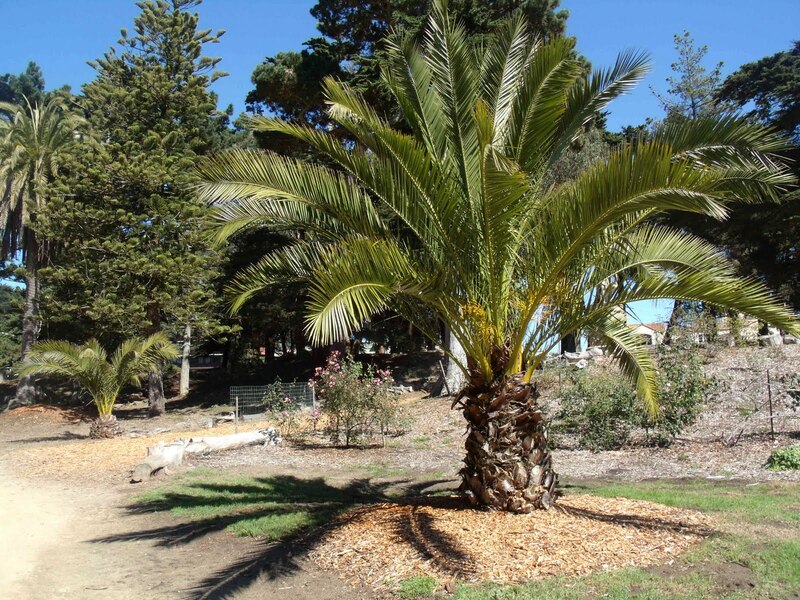 Palm trees are the best. I like the palace and the sea, the shot seem to be from a movie. 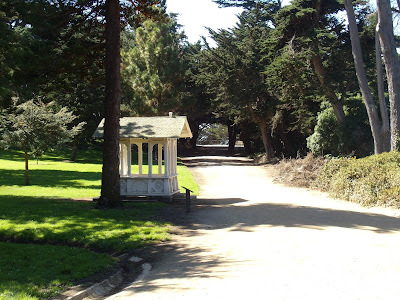 I was married in one of Sutro Parks gazebos - not this one...of course, as you know, the marriage didn't survive. 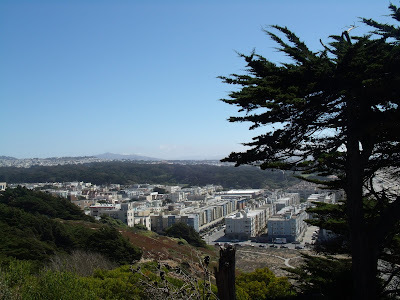 Glad Sutro Park did. Lovely pictures. Blogtise, thanks for visiting, you would love it. Amy, I shoot in high resolution so the photos are large. Thanks for visiting. urban muser, thanks so much for visiting. Sonya, we have been lucky with the sun these days. Carmen, :D It would be a beautiful spot for a wedding. I've never seen that gazebo. I'm gonna have to go look for it. the gazebo is strategically placed by the road. what an awesome place to take a rest after a "run or jog".